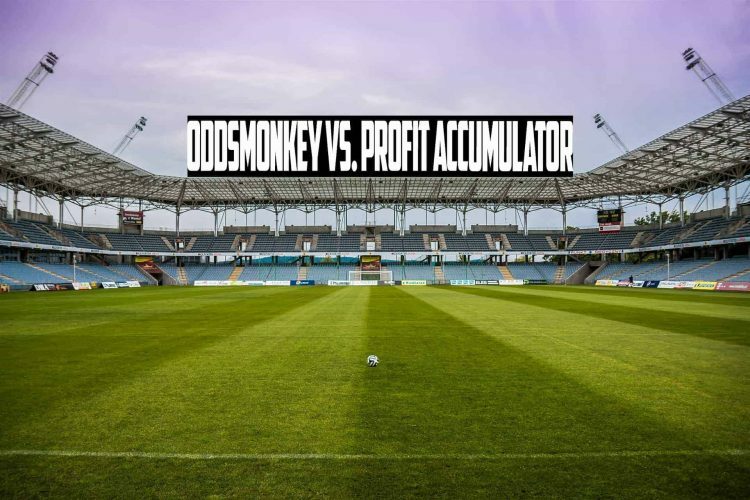 Profit Accumulator Vs Oddsmonkey: UPDATED For 2019 Which Is Best? Profit Accumulator is a close rival to OddsMonkey with more than 20,000 active subscribers and around 200,000 accounts that are registered. They have come a long way from a small scale set up to a significant recognized and legitimate means of earning income in the comfort of the home. Profit Accumulator has been growing and updating their software and their applications to keep up with the growing needs and demands of the members as well as of the betting industry. They have even been nominated for various awards. One great feature of Profit Accumulator is the sense of community that exists amongst its members, where they bond with each other by offering support, guidance and by sharing and celebrating each other’s success. Members are supported by other members, but Profit Accumulator also has a dedicated customer support team providing guidance by phone and email, 7 days a week. Profit Accumulator also has one of the best software in the industry which is hugely efficient and less time consuming for the customer and also quite simple to use, even for the beginners. They also have profit tracker and matched betting calculators which help the customers to be organized in their betting. More recently, last June 2017, they launched a new software called Double Delight Hatrick Heaven Calculator and also improved their Sporting Index Calculator. Their platinum monthly membership fees are of £17.99 that includes access to all of Profit Accumulator’s services. Most members who use the services of Profit Accumulator had great experiences to share and commented that you do not need prior experience to use this service. The software is quite user-friendly, and whenever there is a need, a massive community as well as a dedicated customer services team is there to guide you. OddsMonkey is another betting site in close competition with Profit Accumulator. OddsMonkey gives a free trial for new users, they can try out the service, and if they like it, they can then register and enrol themselves. In the trial, they are provided with two offers of bookies through which they can make around £45. With the signup, instructions take you step by step on how to do to the offers which are provided; there is matched betting software, video tutorials and a large variety of software that you will require for betting. The cost of the monthly membership at OddsMonkey is also £17.99, and the annual fee is £150. All services are included in this price. Moreover, OddsMonkey has a long list of sign up offers which helps the members to get used to the concept of matched betting and to eventually build up their bankroll. One great feature is their calendar which flags offers from each day and shows how much can be made from each one. The customer services at OddsMonkey are also brilliant and available all seven days of the week. Users have the option of filling in an online form, e-mailing or using the FAQ’s. Not only the customer services support, but there is also a support group or a community of matched betting where users interact and communicate with each other and help out whenever needed. One of the best features of OddsMonkey is how much help they provide to their users via the videos. There are instruction and training videos widely available for first timers as well as for the experienced ones. It helps to start the matched betting process as well as the know-how of advanced tools and the each way matcher. Now here is their real strength – their unmatched quality of software. No doubt, it is the best in the industry. Since OddsMonkey started off as a supplier of betting software to other matched betting sites, it is no surprise that their own software has no equal. More recently, OddsMonkey has added Betfair Integration in its services and this has become yet another landmark for them. This software will help the customers to place the Betfair exchange bet through the main oddsmatcher directly without the requirement of switching tabs off to exit the site. It is incredibly convenient and saves a lot of time and speeds up the whole process. Furthermore, OddsMonkey made further changes to Betfair by lowering the commission to customers from 5% to 2% which is a plus point for those who indulge a lot in matched betting since this would save them money. So how much can one make from OddsMonkey? It all depends on how much time you’re willing to spend on learning the process. Customers who have been using OddsMonkey speak of great experiences with them. The forums are full of stories about their experiences, starting as a complete beginner to earning thousands a successful matched better. Customers continue to praise the customer services staff at OddsMonkey for their continuous help and support. OddsMonkey, as well as Profit Accumulator, are both well designed, popular, customer friendly as well as profitable matched betting sites which are leaders in the industry. They both have a variety of strengths and weaknesses and loyalties and the comfort level developed with customers. Their matched betting software is the market leader. No hidden fees, all tools are included in the price. Integrated with Betfair and Smarkets. Sometimes fewer offers than their competitors. The community forum could be more engaging and active. Very active and engaging forum. A large number of registered users. No advanced statics for affiliates. At the moment, Oddsmonkey does stand out in their performance. They, of course, meet the main criteria for a matched betting site by helping users to make money. However, this is not to say that ProfitAccumulator isn’t providing a good service. They are, but they are also more established within the market so their perks are packaged differently. In place of freebies, you’ll get an established service, and in place of 1:1 remote support, you’ll get access to a long-standing matched betting community offering practical advice and guidance. OddsMonkey is new to the table, so they’re of course spending on innovative software and exploring new ways of doing things. But there’s also something to be said for longevity; Profit Accumulator has been established since 2014 and they have over 100,000 users singing their praise. To begin with, you can make use of their free trial offer, and if you like the service, sign up to a paid subscription, but remember that the subscription price points are the same for both sites. And essentially, that’s what it comes down to. When you can’t differentiate between cost, you’re left to evaluate a service based on customer experience, and that is completely subjective. We aren’t deliberately sitting on this Matched Betting fence, but essentially the final verdict is entirely in the hands of the users. Where will you be putting your money?